KoreanBuddy takes the impossibility and frustration out of shopping online in Korea. 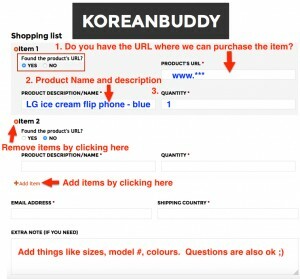 Tell KoreanBuddy what items you want and KoreanBuddy does the rest. As the shopper, you get access to the millions of great and unique products and you can bypass the difficulties of shopping online in Korea. Delivering Happiness One Order at a Time. Find the items you want from Korea. Here are some shopping guides to help. You can order off of any online site you like. It could be 5 items off of the same website or 5 items off of 5 different websites. Fill in the order form with the details of the items you want. I will check and confirm the prices and availability. I will send you a detailed invoice with the prices and domestic delivery charges if there are any and the KoreanBuddy fee. The shipping invoice will come once we have all items. Shipping rates here. 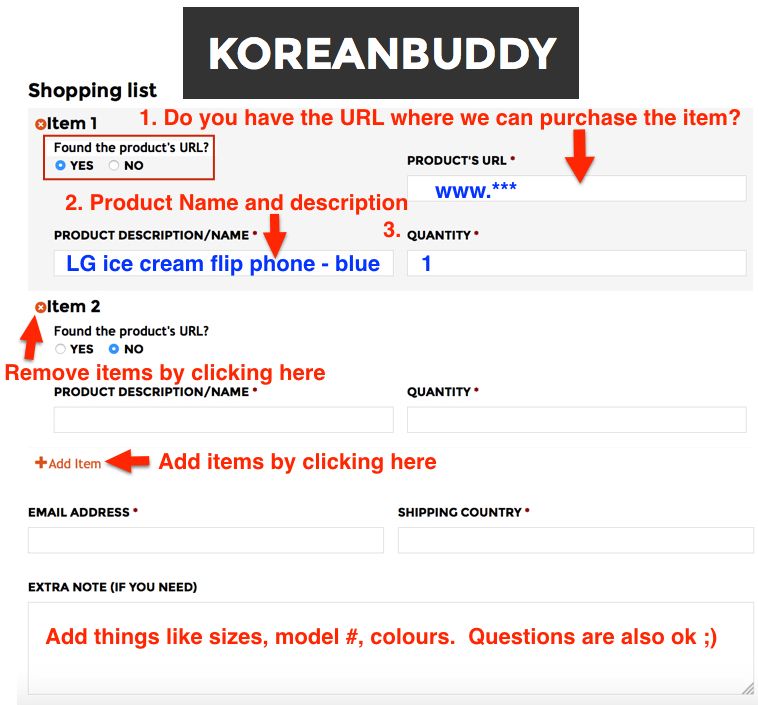 How much does using KoreanBuddy cost? I will order and wait for delivery of all the products. After the items have arrived, I will take pictures of them so you can double check everything looks good. Invoice #2 payment – shipping fee. Shipping via EMS takes 2-4 days and comes with a tracking number, airmail takes around 2 weeks and also has a tracking number and regular regstered mail 2-4 weeks. *We have limited storage space so any orders that have not been paid for 3 months after the shipping invoice was sent will be considered abandoned. I send the items to you and you can sit back and relax until they arrive. 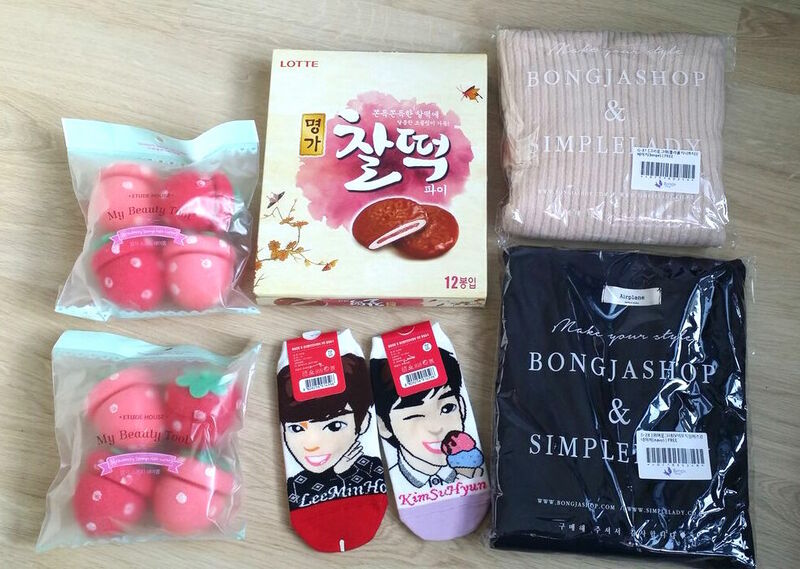 I will also send the tracking number so you can watch the package’s progress. It would be awesome if you left me some feedback on my Facebook, Instagram, Reddit, your own blog. Send me your review link and I will give you 50% off the KoreanBuddy fee on your next order!